If you believe you have a serious emergency then stop reading and please schedule an appointment right now with our emergency dentist in Pasadena, Dr. Sona Asatryan. 1. Call our office phone number @ (626) 431-2654. 2. Schedule an appointment online here and we will respond shortly. 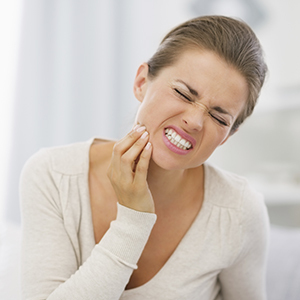 These dental traumas may or may not be associated with a cut or torn lip and gums, which can be very painful and increases the risk of contracting an infection, which is why you should schedule an appointment as early as you can to be seen by an emergency dentist. For ANY dental emergency, please contact us for first aid instructions over the phone until you are able to reach our dental clinic for immediate intervention by our emergency dentist in Pasadena. This can greatly increase your chance of saving your tooth, as every minute counts in its prognosis. Don’t Wait - Better to Be Safe Than Sorry! Often times 1 or 2 days could mean the difference between a serious problem or not. Waiting around when you have a dental emergency will only exacerbate the issue, leading to more costly procedures and treatment options to correct. At the very least, an appointment with our emergency dentist in Pasadena, Dr. Sona Asatryan, will give you peace of mind to conduct day-to-day activities without added worry.